Designed to blend within any outdoor setting, the FORZA-10 is a powerful and stealthy outdoor rated subwoofer that enhances outdoor sound systems by adding crucial bass notes for a more enriching surround sound experience. FORZA-10 cranks out 300W of power and includes a 10” polypropylene cone woofer and a high impact molded plastic enclosure with a unique antique bronze finish. Truly weather-resistant, the FORZA-10 is IP66 rated which means it is 100% sealed and protected from dirt and dust as well as powerful water jets such as sprinklers. 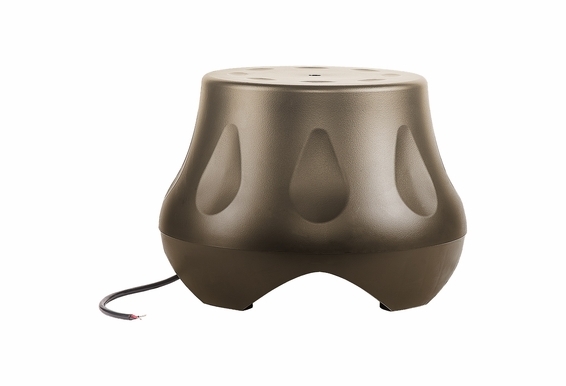 Its unique curved shape and down-firing port makes it the perfect addition to decks and porches, but you can place it anywhere you run speaker wire. For optimal performance, however, we recommend placing this subwoofer on a paved or hard surface. The FORZA-10 also includes a built-in eye bolt that allows you to anchor it to the location to prevent theft or to keep it firmly in place. Pair this outdoor subwoofer with a mono subwoofer amplifier like the OSD SMP300 and combine it with any of our landscape satellite speakers, and you’ll have an outdoor audio system that rivals your indoor system. Why Add an Outdoor Subwoofer? 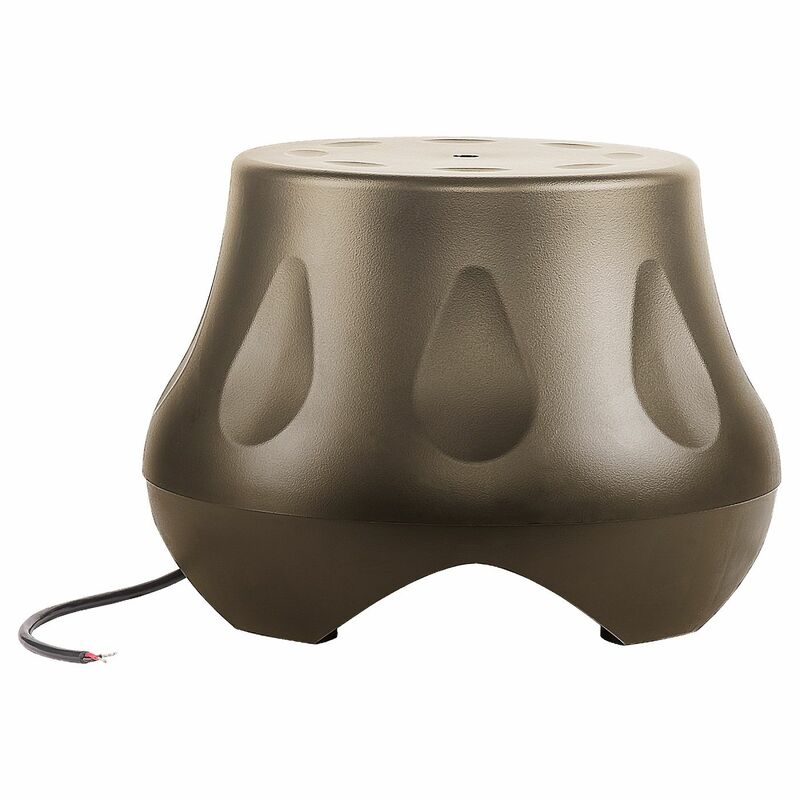 Most outdoor speakers are not designed to cover lower frequencies so adding a subwoofer to a backyard audio system can make a huge difference in the quality of sound you experience. Adding an outdoor subwoofer not only delivers missing bass notes but also takes the low-frequency burden off the other speakers which will optimize your entire system. Unit Dimensions: (L x H x D) 6.5" x 12" x 16.5"
Can you confirm if this is a powered subwoofer?